The continuous requests of custom electronic boards, each time different for quantities and types of I/O, have always fed, for years, the dream of having only few ready-made products but suitable for all needs. Obviously this is a dream not fully achievable, but the goal of Overdigit is to reach, as close as possible, this result. Thus, it was decided to add, to the above activities, the new Overdigit srl company with which it has started the development from scratch of new products for automation, reworking the best past experiences according to totally new ideas and not subject to any claim specification. The board includes 64 digital inputs, 40 static digital outputs, 5 analog inputs for thermocouples, a 4-20mA input and 2 inputs for load cells. This board, which is just one of many developed, has led to the development of our EX1608DD digital I/O module which retains some features like the 2A static outputs. 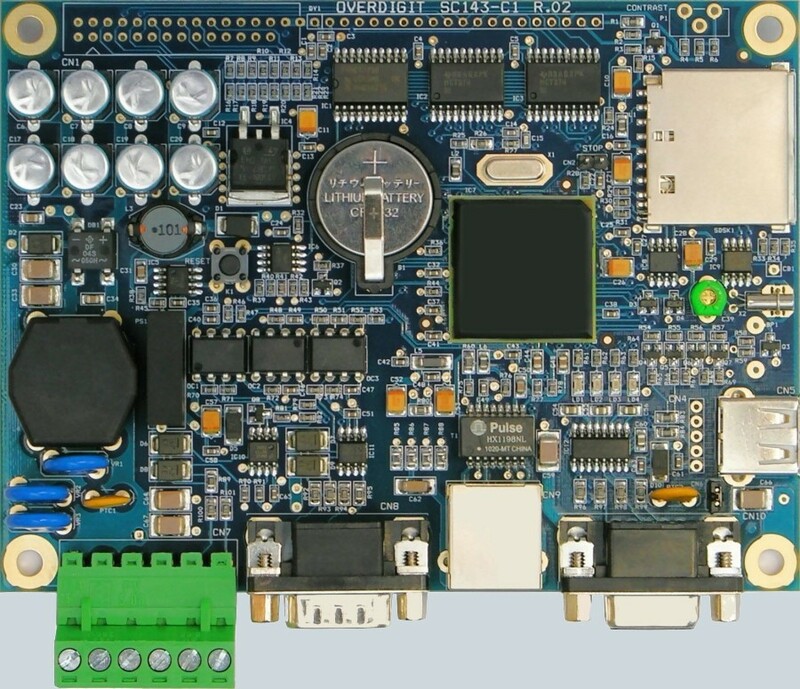 To allow the customers to program autonomously their own application, this CPU board had also been developed. It was our first PLC based on the CoDeSys development tool. The board was also integrated in an HMI device with a 128×64 graphic LCD display. This open board PLC, with which all the experiences on the CoDeSys system were made, will give the start to the commercial series WP240 of compact Web PLCs.